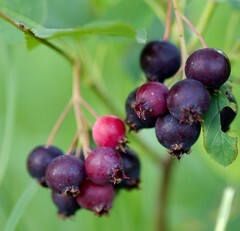 Blackfeet Community College, in partnership with Alabama State and Virginia State universities, holds a patent for a drug that’s being developed from the beautiful ornamental shrub which you may know under a variety of names: Juneberry, Saskatoon Berry, Serviceberry or Amelanchier. 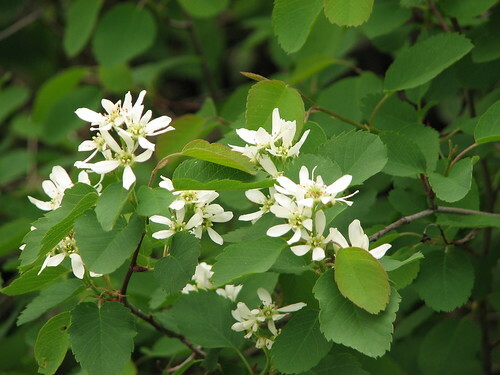 The fruit of Amelanchier alnifolia had been used medicinally by Native Americans but has only now been studied under laboratory conditions. (Photos courtesy of dbarronoss/Flickr and Carolannie/Flickr respectively.) Read more here.